It’s always sad when our rescues leave us but so rewarding when we are able to place them in super new homes. Lena & Belle quickly found their way into new owner Jane’s heart and the past month Jane and her family have been busy preparing their new field ready for their arrival. 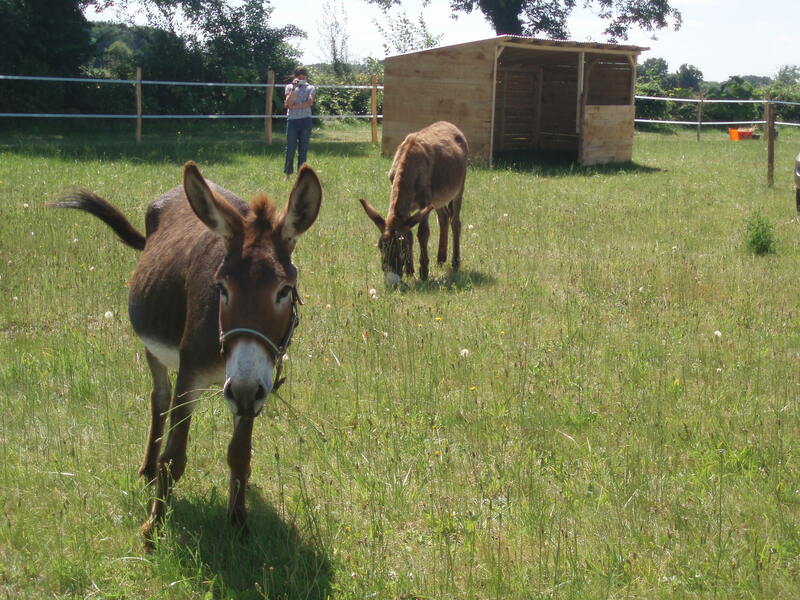 Yesterday we delivered them to their new home in the Vienne and as you can see they are very pleased with it too! Thank you and good luck with the girls…..we look forward to hearing all about their antics in the future!